We’ve come a long way since the inception of the Defra Data Transformation programme a few years ago, and it’s always healthy to take a moment to reflect on past successes, to learn from challenges, and to think about the future. Transformation isn’t something that can be delivered ‘next day’ like most things we’re used to now. It’s a journey that constantly iterates, so it’s important that as a programme and as a team we’re built for agility and coping with change in whatever form that may take. 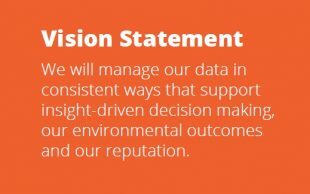 This understanding is at the heart of our vision for data in Defra. Last financial year we achieved a milestone for a number of our programme’s projects, including delivering alphas on Earth Observation, Bovine TB and flood risk. During that time I took on the leadership role of the team on an interim basis, and after a short period adjusting to the role, I felt it the right moment to accelerate a number of work packages to help us further lay the groundwork for how Data Transformation can fulfil Defra’s ambition of becoming a truly data-driven organisation. This work included moving forward on a data strategy for Defra, baselining our data architectural framework, and revisiting our ambition when it comes to data innovation for the whole of Defra - because it’s not just about bits and bytes but the cultural aspect too. During this time I took a lot of learning from the OECD’s Observatory of Public Sector Innovation. 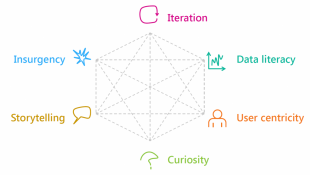 Their innovation skills work produced a while back has been a great signpost for how the work of data transformation feeds into wider innovation. I was really taken by their diagram on ‘six core skills for public sector innovation’, and it’s been useful to frame the work of our strategy in that context. The Data Transformation programme is just one part of the bigger transformation picture for Defra and my team is very happy to be leading the way - and bring everyone with us on the journey. What’s to look forward to? I realise that our voice has been a little quiet for a while, but that’s not because we haven't been getting on with things. On the contrary there’s plenty to update you on, and I’m hoping this article serves as a bit of a taster as to what we’ve been doing and the direction we’re working towards. Over the course of the next few weeks my team and I will be posting about our work on developing the Defra Data and Information Strategy, our Data Architecture products and, last but not least, our Data Innovation workstream where we’ve been developing proofs-of-concepts and beginning to map out what a Defra Data Lab service could look like for the organisation.